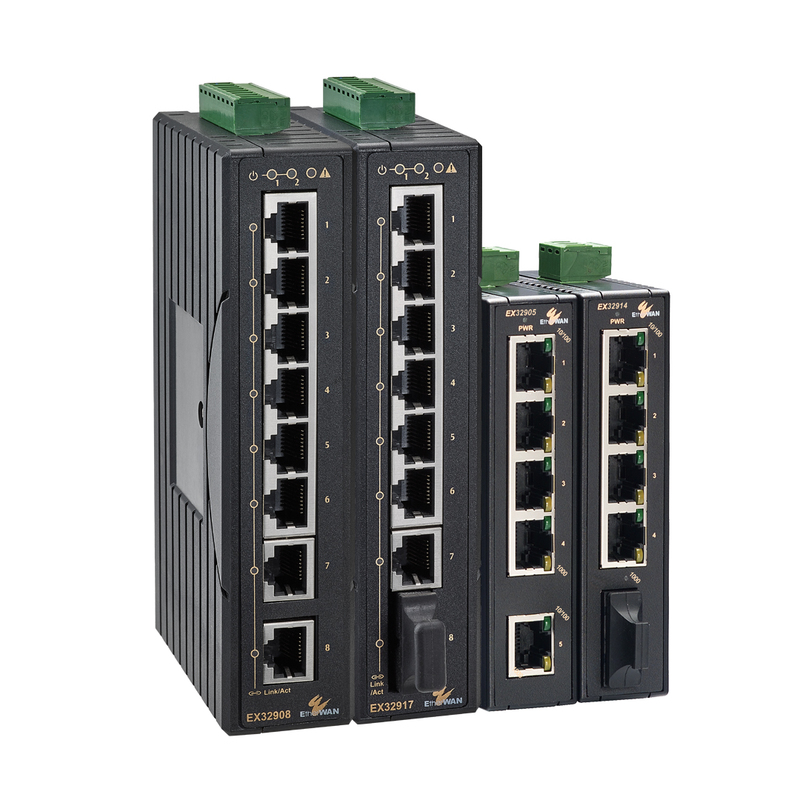 ﻿ Ethernet Switch – EtherWAN – EX26262 – KONČAR Elektronika i informatika d.d. 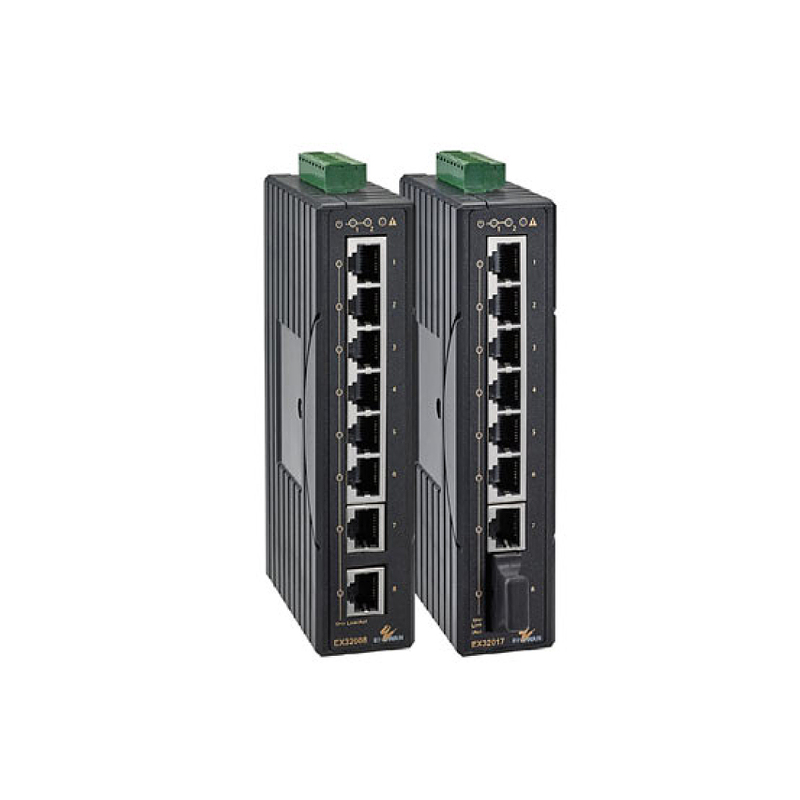 EtherWAN's EX26262 provides a 26-port switching platform supporting IEEE802.3at Power over Ethernet, high performance switching with management features required for enterprise environments where sustained connectivity is crucial. 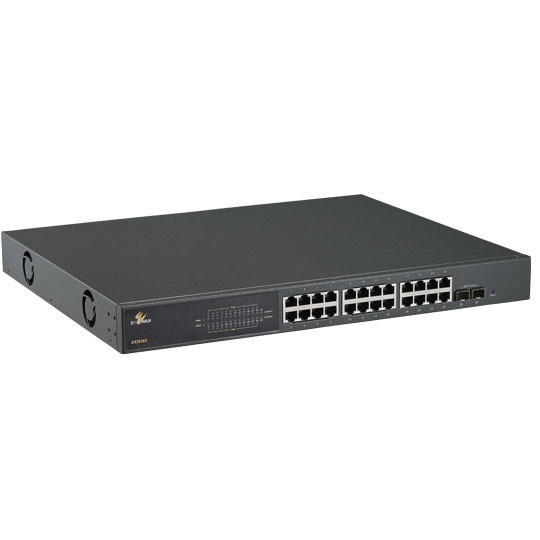 The EX26262 is equipped with 24 10/100/1000BASE-TX PoE ports, in combination with two Gigabit SFP options. 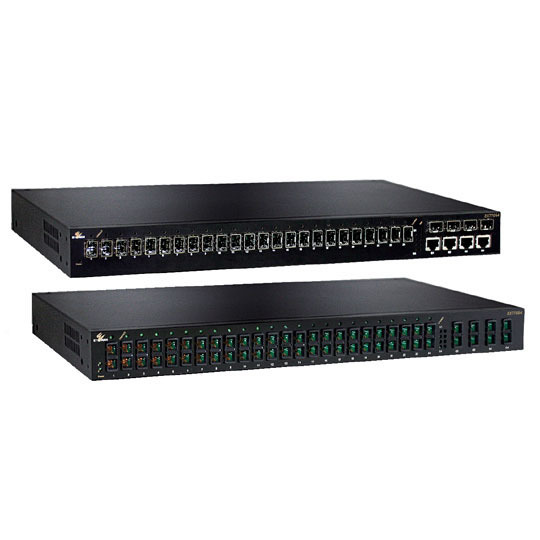 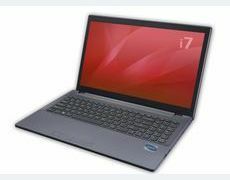 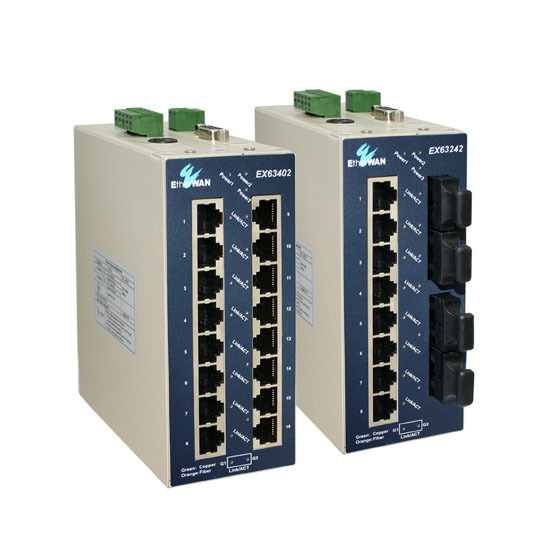 The EX26262 is feature rich with 10K Jumbo Frame support, full wire speed Gigabit throughput, QoS support, making the EX26262 Series a powerful network switch. 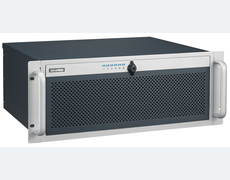 • PoE power budget: 190W Max.